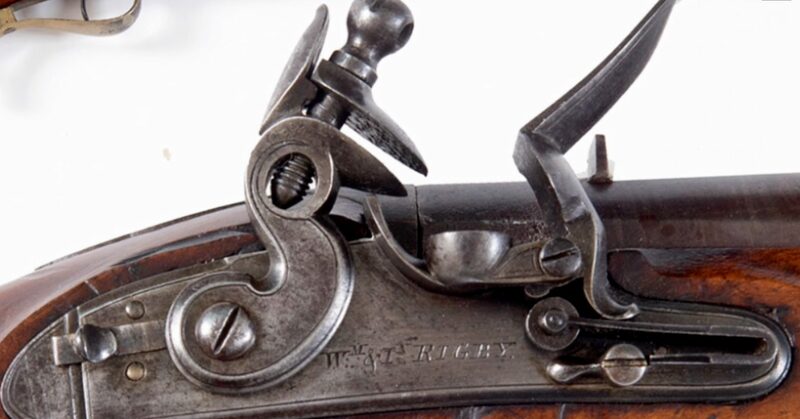 The Vintage Arms Association was established on the 2nd of January, 1973, by a small group of enthusiasts interested in collecting and shooting early breech loading weapons. Over the years that small group has gradually evolved into a large and inclusive association, with the aim of encouraging the collection, study and use of all vintage firearms, including muzzle and breech loaders, rifles, pistols, shotguns and airguns. Vintage is defined by the Association as being any small arm that was in production (or a design ready for production) before 1933, including later variations that did not materially affect the accuracy of the arm, and including reproductions ‘in the spirit of’ the original. The Association today continues to actively promote shooting sports by means of a comprehensive events calendar for both vintage and modern firearms held throughout the year, utilising ranges at Barton Road, Bisley, Horsford, Jersey, and Shrublands. It encourages the attainment of skill in the use of such firearms by providing excellent facilities for range practice and for competition. The Association also encourages the preservation and collecting of firearms by members, and the exchange of information on the construction, history and use of various firearms through its quarterly journal, The Primer. Visitors are invited to explore this site, and to see what the Association has to offer. Since the site is currently under reconstruction you may not find all the answers you need just yet. In this event, please visit the Contacts page. This will put you in touch with a member of the committee who will be able to answer your queries and provide any further information. Current Association members are recommended to have a look at ‘Late News’ in case there have been any recent changes that may affect you. A copy of our Constitution may be viewed here: VAA Constitution – you will need Adobe Acrobat Reader, or similar to view this file. Thank you for your interest and, if you are considering applying for membership, then I very much hope to hear from you soon.